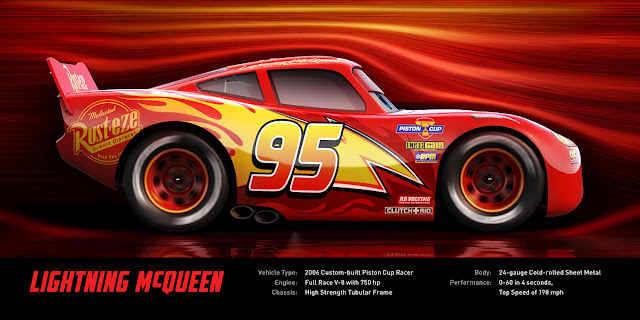 Lemon GreenTea: Lightning McQueen Teams Up with Strong, Spirited Trainer Cruz Ramirez in "Cars 3"
Lightning McQueen Teams Up with Strong, Spirited Trainer Cruz Ramirez in "Cars 3"
“Cars 3” pays homage to NASCAR with four characters based on real-life stock car racing legends. Chris Cooper (“Adaptation,” “American Beauty”) voices Doc Hudson’s crew chief Smokey; team owner and NASCAR racing legend Junior Johnson lends his voice to Junior “Midnight” Moon; three-time Emmy® winner Margo Martindale (FX’s “The Americans,” FX’s “Justified,” Amazon’s “Sneaky Pete”) provides the voice of Louise “Barnstormer” Nash; and Isiah Whitlock Jr. (HBO’s “The Wire,” “Cedar Rapids,” HBO’s “Veep”) is the voice of River Scott. The film also features NASCAR drivers and the voices behind the sport, as well as a host of returning characters from Radiator Springs and the “Cars” racing world. 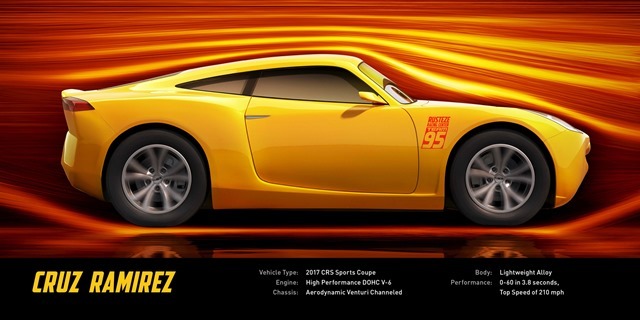 Directed by Fee (storyboard artist “Cars,” “Cars 2“), produced by Reher (“A Bug’s Life,” “La Luna” short) and co-produced by Warren (“LAVA” short), “Cars 3” is executive produced by John Lasseter, who directed the first two films in the franchise. With a story by Fee, Ben Queen (TV’s “Powerless”), Eyal Podell (actor “Code Black”) & Jonathon E. Stewart (“Doing Time” short), the screenplay was penned by Kiel Murray (“Cars”), Bob Peterson (“Up,” “Finding Nemo”) and Mike Rich (“Secretariat,” “The Rookie”). Featuring a score by Oscar-winning composer Randy Newman (“Toy Story 3,” “Cars”), instrumental cues composed by Brad Paisley, and original songs by ZZ Ward and Grammy winner Dan Auerbach, Disney•Pixar’s “Cars 3” cruises into theaters on July 26, 2017.